Teaming up with Mo Rennie, a marketing-conscious pal, he starts up an agency called Baskerville's, which specialises in the application of rigorous Holmesian method. Here are five bizarre adventures from the files - a sumptuous feast upon which the gastronome of crime may gorge. - A young beautician is stalked by a haunting stranger through the narrow streets of Cambridge. Yet he possesses love letters from the girl, ostensibly in her handwriting. How come? - A science journalist disappears while investigating UFO sightings in Wiltshire. But is the explanation earthly or supernatural? - When a pornographer receives death threats online he arranges protection 24/7. Will it work? - A pop diva's boyfriend is kidnapped twice by animal rights extremists. Should the ransom be paid again? - Everything in the garden seems rosy when a millionaire widower meets Miss Perfect through a dating agency. But the lady soon starts to behave oddly. Should the wedding plans be shelved? Raymond Kay Lyon was born near Hastings in 1960. He was educated at the Cambridge Grammar School, winning many literary prizes for poetry and prose, including the Edscer Memorial Prize. He went on to study philosophy at University College London, where he developed a novel image-based theory of meaning. He now lives in Suffolk with his wife and two children. 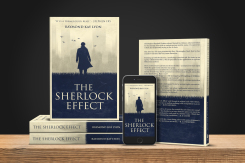 "I enjoyed 'The Sherlock Effect' and thought it original and well-written. An important factor for me in reading anything is the compulsion to go on reading, and I felt that." 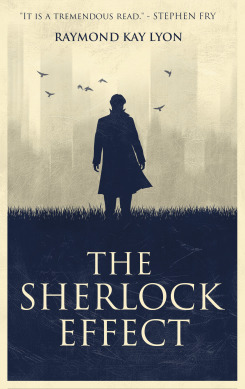 "The most ingenious part is, of course, the central idea of a character named after Sherlock Holmes who decides to set up a detective agency on much the same lines as-the original genius, and even in a similar room. I think that this inspiration offers interesting possibilities." "I love the idea of present day crimes being solved with some of Holmes's deductive methods. Story lines are terrific." "Its premise is delightful and its accounts of its latter-day Holmes have not a little of Conan Doyle's wonderful story-telling power." "It is a tremendous read."